When you are on holiday you may want to capture the best moments on camera, so you can look back on the adventures for years to come. However, when you are enjoying activities such as snorkeling you will probably need a specialist camera with some extra features. 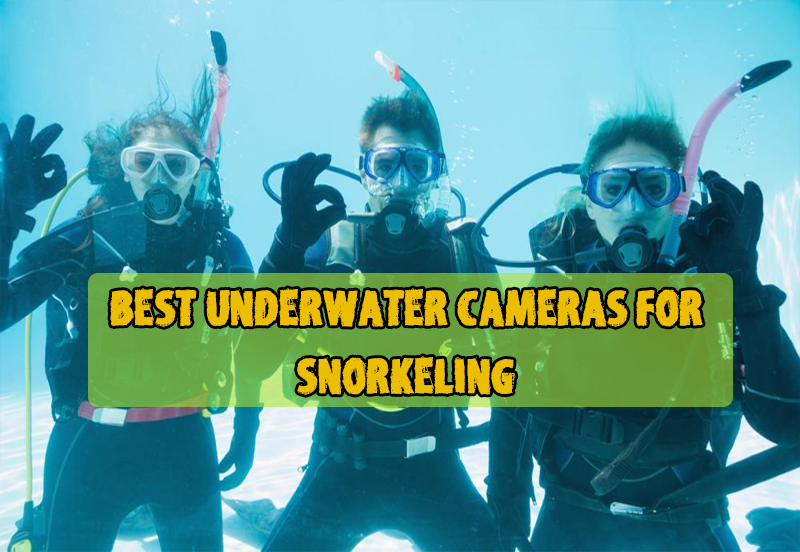 There are so many underwater Cameras for Snorkeling on the market right now it might be difficult to choose the right one for your needs. Features a wireless remote control to record or take photos when you are up to 10 metres away from the camera. Shoots in 4k which is excellent for clear high-resolution videos and images. 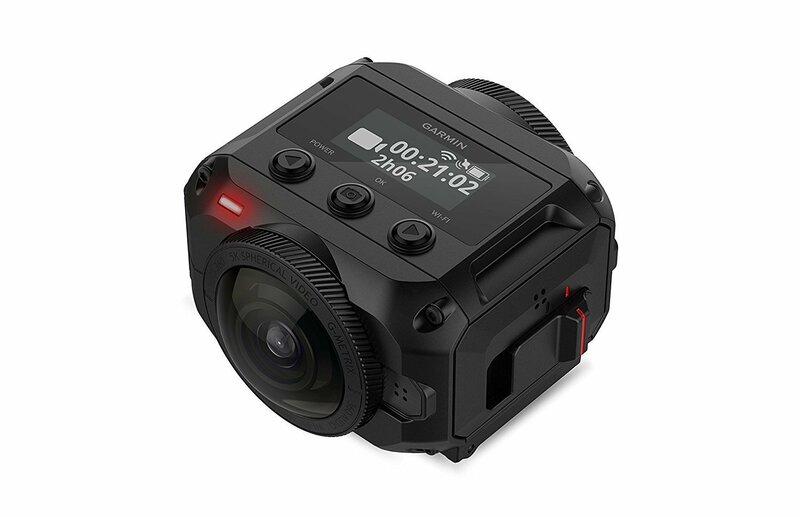 Can record with resolution up to 5.7K/30fps unstitched and 4K/30fps with in-camera stitching. Record 360-degree video with all round stabilisation for smooth video. Shoots in 4K 30fps and photos are 20MP resolution. Additional functions include, photo burst, time lapse photo and video, loop recording and both slow and fast motion video. What are the benefits of an underwater camera? An underwater camera means it is completely waterproof with or without the need for an additional case or cover. This is great if you want to use one in different weather conditions and other activities, including swimming, snorkeling and diving. Which features are best for you? When you compare what is on the market you will see a vast difference in the features included. From the price range to the picture quality, accessories included to connectivity, there are plenty of things to consider. But what is best for you? Think about what you will be using your camera for, how often and how you will use it. This feature is great if you are walking or doing an activity using your hands when you want to start or stop recording or take photographs at the same time. Although voice control wont really be a consideration when snorkelling, you may want to consider it if you will be using your camera for other activities. You may have your action camera strapped to you making it difficult to press the buttons. With a remote control you can use the feature to record and take photos without having to touch your camera. Will you want to upload your photos or videos straight away to your phone or social media accounts? If sharing your images is what you are after, then you must check the connectivity of the device. Does it have WIFI, Bluetooth or a direct internet connection? Some cameras will enable you to save pictures to your phone using Wi-Fi connected to an app which enables you to share on social media in a matter of minutes. Or you may be happy to wait and connect directly to your computer and upload via USB connection. Before you choose your waterproof camera, you will probably want to know what accessories can go with it. The camera you choose might be compatible with generic brands or you may have to buy from only the brand itself. Think about how you will be using your camera and what mounts you will need. For snorkelling you may want a hand-held grip or perhaps a wrist strap to keep your hands free. Before you invest in the camera you should make sure you can have the accessories to use it how you intended. UnderWater Camera for Snorkeling Mini Reviews. We’ve looked at many of the top-selling braces to bring you, in our opinion, the best Four options for the best underwater cameras for snorkling. 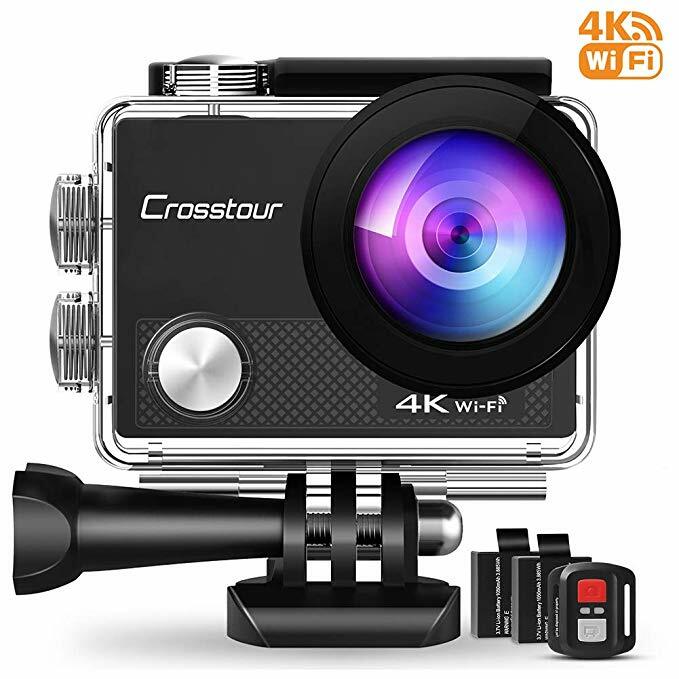 You get a lot of features for the price with the Crosstour making it an excellent value camera which can be used underwater. The camera itself is not waterproof, it comes with a waterproof case. The micro SD card which is not included is only recommended up to a size 32GB which doesn’t store as much as you may need. 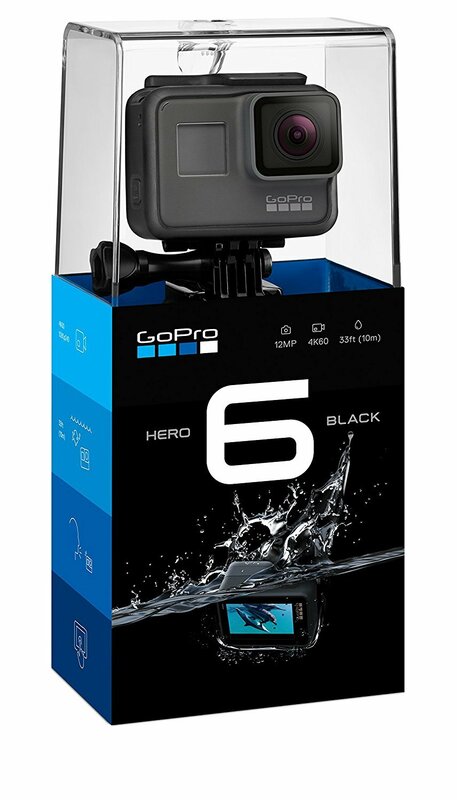 Probably one of the best-known brands, the latest GoPro has plenty of features and great quality for avid action cam users. Shoots in 4K60 video and photo features include time lapse and burst mode. Photo resolution is 16MPShoots in 4K60 video and photo features include time lapse and burst mode. Photo resolution is 16MP. Voice controlled for hands free usage. Advanced image stabilisation means you can record smoother videos. Easy and fast sharing with the GoPro and Quik apps. Pricey compared to other action cameras. The features have not moved on a great deal from the GoPro Hero 5. If you are serious about your action shots, then the Garmin will tick all the boxes allowing you to record 360-degree footage and photos. Mobile and desktop apps mean you can easily edit and share your photos and videos. Completely waterproof without a case needed. Expensive piece of kit compared to other action cameras. Editing can be quite technical especially when rendering 360-degree footage. This camera is in the mid-range for price range, but you get a lot of great features which makes it excellent value. It has a remote control for recording and taking photos. Share easily with built in WIFI to connect to mobile app. Not fully waterproof, needs the housing that is included to use under water. There can be connection problems with the app. Considering the features and the value for money the winner has to be the AKASO V5O Native. The picture quality for both video recording and photos is great at 4K video resolution and 20MP photos. You can go hands free with the remote-control feature and connect easily to share your pictures on social media through your mobile phone. The waterproof housing means you can use this camera underwater to a depth of up to 30m and as long as you are ok with using a case this is fine. 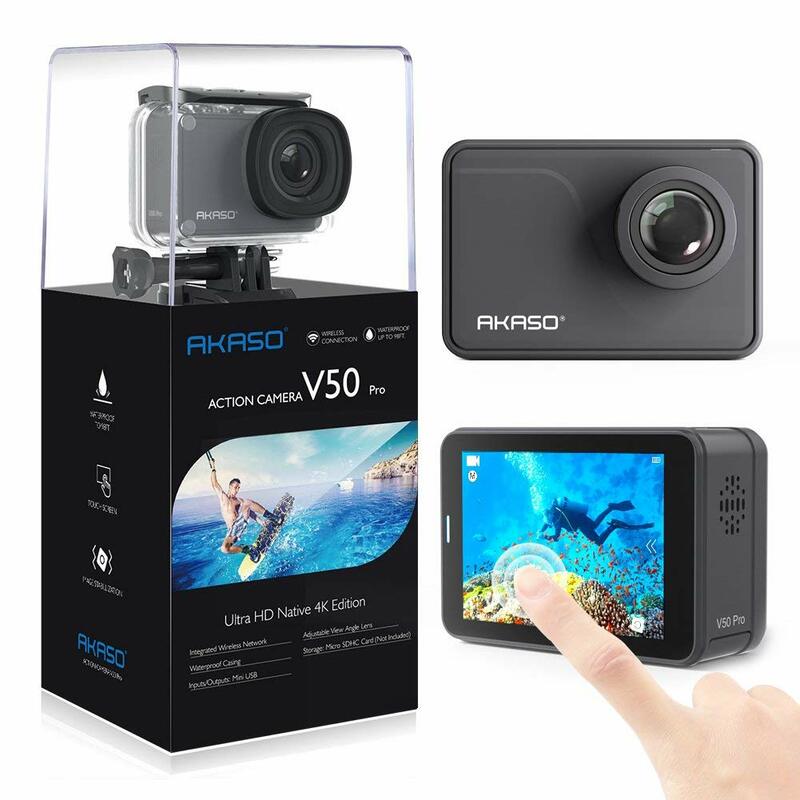 In conclusion this camera is an excellent all-rounder, perfect for anyone wanting to take photos and record video whilst running, swimming, snorkeling and cycling or any other activity you want to record.